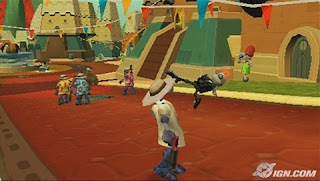 Secret Agent Clank apk android for ppsspp cheats rom cso free download working on mobile and pc,Using the same engine as the first hit PSP Ratchet & Clank adventure, this game focuses — for the first time in the series — on the adventures of the beloved robot sidekick Clank and his secret alter-ego, Secret Agent Clank. 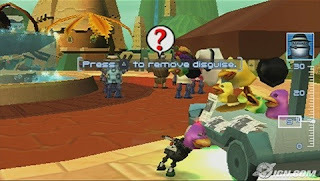 Set after Size Matters, but before the events of Tools of Destruction, the premise behind Secret Agent Clank surrounds Ratchet as he’s framed for a crime that he didn’t commit. 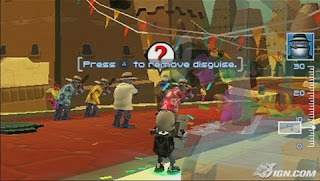 Unfortunately for the hero, the trial is skewed against him, and all indications point to him being found guilty. To save his friend, Clank dons the tuxedo and equipment of his favorite alter ego, Secret Agent Clank, and investigates who’s behind the accusations. 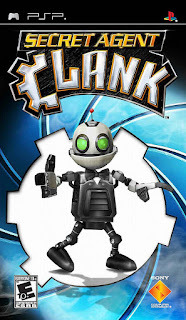 Along the way, he learns and acquires new abilities, such as Clank-Fu, which he’ll use against his opponents. He’ll also gain access to new weapons, such as bow tie boomerangs, cuff link bombs and jet boots.